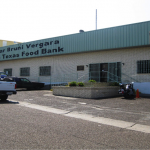 The Lamar Bruni Vergara Trust has been one of the key players in the South Texas Food Bank mission of feeding the hungry in one of the most impoverished areas in the nation, 33 percent poverty rate. 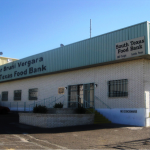 The Lamar Bruni Vergara Trust in 1996 purchased and renovated a 36,000-foot warehouse at 1907 Freight at Riverside in west Laredo, which bears the name Lamar Bruni Vergara South Texas Food Bank for the then Laredo-Webb County Food Bank, which was distributing one million pounds of product per year from a 12,000-foot warehouse on the old Laredo Air Force Base. 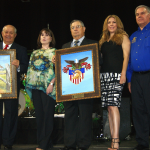 The Laredo-Webb County Food Bank, renamed South Texas Food Bank in 2003 with a Feeding America status, now encompasses an eight-county area from Del Rio to Rio Grande City, distributing 10 million pounds per year to 27,000 families per month. Also, over the last five years, the Trust has granted the STFB $100,000 per year to fund a food resource person, purchase the staples of rice and beans and help with operating expenses. 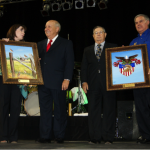 Trustees James Pearl and J.C. Martin III were the Empty Bowls VII honorees in 2013.